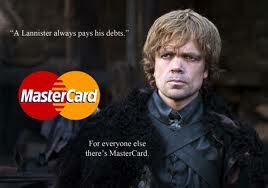 This tribute is a rewrite of a previous post written in honor of the launch tonight of HBO’s fifth series. Let me begin by saying I’m a big fan. I’ve read all five books and, if that isn’t proof enough, I can’t wait for Book 6 (hint, hint). I have sung your praises on my humble elfwriter blog and keep your photo under my pillow (I don’t – but I want to make sure I still have your attention). It’s like this, sir. One day when I grow up (I’m only 50-teen) I want to be a bestselling epic fantasy author like you. My fifth book comes out in the fall and I have sold more books as you’ve killed noble characters (I think!). But you, sir, break all the rules, tippexed (anyone?) over the conventions. One friend suggested you only get away with it because you’re already famous, have a huge following, and probably don’t care anymore what anyone outside of the Seven Kingdoms thinks. 1. Your books are too long. I keep getting told that 90K is way beyond the commitment that most readers are willing to invest today. But then why do I enjoy your tomes (and Christopher Paolini, and J.K Rowlings, and some unknown ancient language, Oxford professor) and feel a sense of loss when they are finished? 2. Your books are too slow. People want action, action, action. Instant gratification …debate in 140 characters or less. Have a car chase or blow up a bridge – well, you get my point. 3. Your books are too detailed. You mean I need to think? Concentrate? Invest? I hear you keep flow charts in your office – can we peek? How about a deal with Cliff Notes or an app that you can enter a character, your book and page number and get an update. Dude – I totally expect a commission on the app idea. 4. Your characters are too flawed (especially the good ones). If I’m not seeing Ryan Gosling or Kristen Stewart then it simply won’t do. If I want real people, I would put my book down and hit the pub. 5. Your characters are too dead. I actually wrote a blog post about this (I Need A Hero), keeping the book and you anonymous so as not to spoil it. Guess what? Everyone knew who I was talking about. 6. You drop some characters for hundreds of pages – are you tempting me to skip pages, sir? Just so as not to spoil this for any readers on Books 1-4, you know what I mean when I connect this to Book 4//5. 7. You miss out key scenes – battles in particular – and subtly let us know they have happened. I know it is incredibly difficult to write battles and only the best can pull it off, but well sir, you are one of the best. 8. You have too many minor characters. I hope you are keeping track of them because, to be honest, I am developing a habit of scratching my head whenever someone resurfaces 1-2,000 pages later. 9. You care more for the old gods and the new than the critics. You broke all the rules, sir. Congratulations! 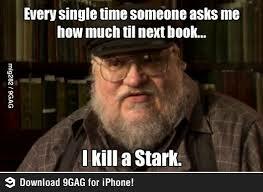 I can’t wait for the first episode of Book Five tonight … not to mention Book 6 …Oops! Are there any Starks left? This entry was posted in Other Authors and tagged action, Alon Shalev, app, Ashbar, Ashbar – Wycaan Master Book 3, At The Walls of Galbrieth, battle scenes, characters, Christopher Paolini, Cliff Notes, epic fantasy, Eric Hoffer Book Award, Game of Thrones, George R.R. Martin, Google+, HBO, hero, J.K. Rowlings, Kristen Stewart, old gods, Oxford, professor, pub, Ryan Gozling, Sacrificial Flame, Seven Kingdoms, Stark, The First Decree, tippex, Tolkien, Tourmaline Books, Twitter, Unwanted Heroes, writing rules, YA epic fantasy. ← Can I Have Your Autograph, Dead Author? Great fun piece! I could have my head put on a spike for this, but I’ll confess I held out for years before ordering Seasons 1-5 of ‘Game of Thrones’ on DVD. 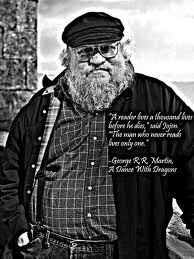 Damn you, George R. R. Martin, I knew this would happen. Now my life revolves around ‘GOT’, binge-watching at the slightest provocation. Can’t write? Slip a disc in. Too exhausted to cook dinner? Slip a disc in. On and on it goes. I hope you’re happy. Oh, and by the way, when’s your next book?